From the Project page (aka Job page), click on Stages. (Stages may also be called tasks, phases, matters, or something else according to how your system administrator has defined them). When you have finished entering and saved your stages, click on the Sub consultants button. One or many sub consultants can be entered against each stage. When the sub consultant record is saved you can raise the Purchase Order. The information for the various fields will appear on the Purchase Order, in as much as it has been entered elsewhere (within the client, stage, and administration screens). If anything needs to be changed you can change or edit it on the purchase order page. Be sure to save the record after editing anything. 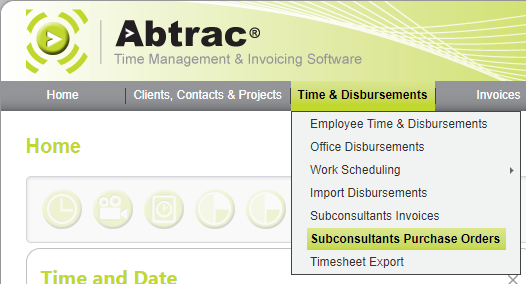 The menu option Time & Disbursements >> Sub consultants Purchase Orders allows you to see all, or a filtered selection of purchase orders, according to your permissions within Abtrac, and according to any filters you may apply in the grid header row. As with other ‘Grid’ pages in Abtrac, you can change the columns you can see, the order in which they appear and the column widths via the menu Administration >> Settings >> User Control Settings. 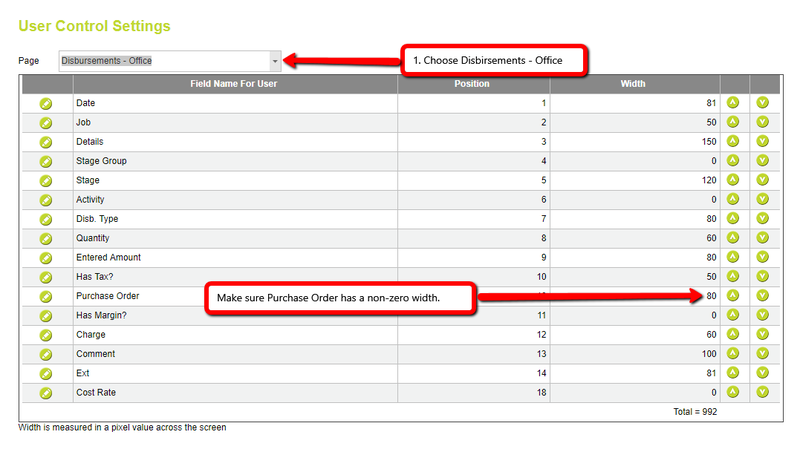 Then choose “Sub consultants Purchase Order” from the drop down list. Back in the Sub consultant Purchase Order Management screen above, within the constraints set by the administrator you can modify the layout to suit yourself, changing column widths, interchanging columns and you can also enter your name in the Project Manager filter, then click on the tick in the Grid Layout box, next time you choose this page, your custom settings will be applied for you. 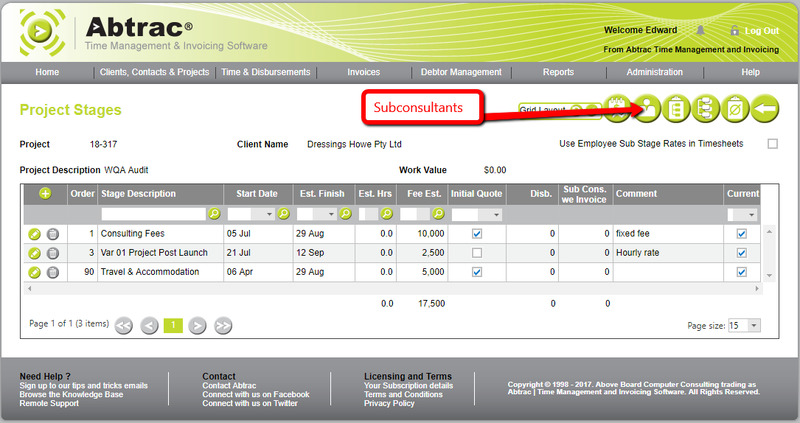 As each sub consultant invoice is processed through Abtrac, once approved, the sub consultant invoice data ends up as an Office Disbursement. Your purchase order details are then linked to the newly created disbursement, and available to view along with other disbursements as unbilled costs associated with the job. 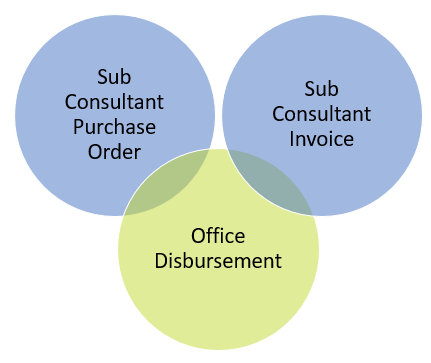 If you are not processing sub consultant invoices in Abtrac, then the Purchase Order claims can be processed by creating a simple office disbursement entry. They will also link automatically to disbursements imported from your accounting system with a matching purchase orders number. 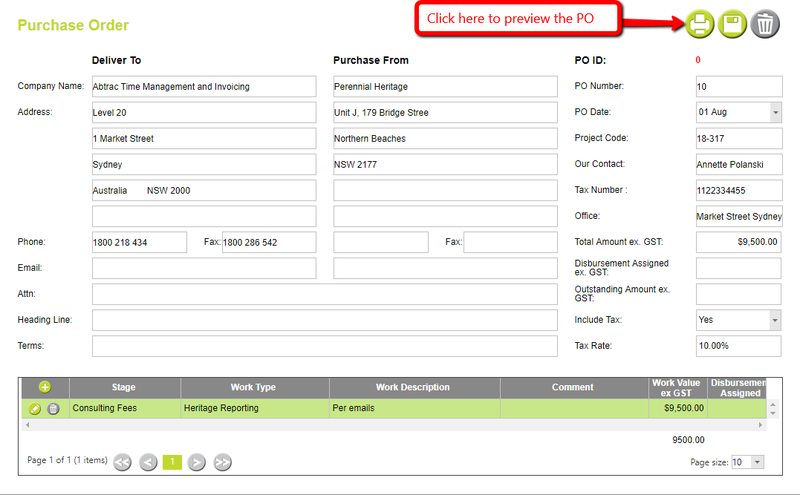 When using purchase orders in Abtrac you’ll need to enable the purchase order column as visible in the office disbursements screen. As above, as with other ‘Grid’ pages in Abtrac, you can change the columns you can see, the order in which they appear, and the column widths via the menu Administration >> Settings >> User Control Settings. Then choose “Disbursements – Office ” from the drop down list. This entry was posted in Invoicing, Jobs & Projects, Time & Cost and tagged consultants, contractors, importing disbursements, purchase orders, sub consultants, sub contract, sub-consultant, sub-consultant invoices, subconsultant, third party expenses by Jen. Bookmark the permalink.